The Leisure Camp isn’t in the Hill Country proper, but the San Marcos River flows through the camp and its headwaters are in the Hill Country so that is good enough for us. 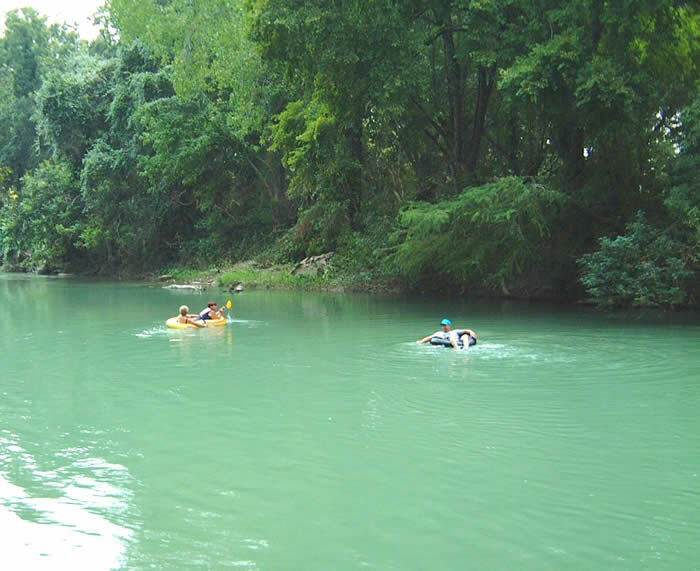 This is a good place to come to enjoy the cold, sparkling waters of the lovely spring fed San Marcos River to beat that nasty Texas heat in the summer time. This is also a good place to camp, but you should know that the primitive camping down by the river does not have a lot of shade so it might be a better place for you to camp in the off season. There is more shade up at the campsites that have water and electric if that is a big concern to you. Remember that you also will want to get here early so you can grab enough room down by the water. They also do a really good job of enforcing quiet time around here so mind your P’s and Q’s after 10 pm. The Hill Country Outdoor Guide has no affiliation with Leisure Camp. To contact Leisure Camp directly please see the Location Details.